Have you been involved in an auto accident that caused serious harm to you and your family? During this difficult time there is some important information that you need to know about your rights, what you are entitled to, and the appropriate steps to take moving forward. For most personal injury claims in the state of Florida the case is about proving the other person’s negligence resulted in your injury. For auto accidents the rules are a little different we live in a no fault auto insurance state, which means, the usual personal injury process does not apply to auto accidents. If you are in an auto accident the first thing you need to do is seek medical attention! Many people involved in auto accidents may feel fine immediately after, but then suffer from pain days later; it is imperative to seek medical attention immediately to strengthen any personal injury claim you may have to pursue. The state of Florida has no-fault auto insurance. This means that instead of pursuing another person or their insurance to pay for any damages, your own insurance covers the cost. Florida drivers are required to have a minimum $10,000 in personal injury protection benefits and $10,000 in property damage liability benefits. According to the Florida office of insurance regulation the goal of this is to provide drivers up to $10,000 in immediate medical coverage as opposed to waiting though the process of establishing fault in court. When you are injured and in need of medical attention the lapse in time of the accident and the process of your case going through the court system could prove to be detrimental to your health. You cannot file a lawsuit for an auto accident in Florida unless it qualifies under the serious injury threshold. According to the 2014 Florida statutes, this means significant or permanent loss of bodily function, injury that will continue to need medical attention, significant and permanent scarring, death, and costs in excess of the policy limit. The statute of limitations in Florida for personal injury cases resulting from traffic incidents is 4 years, this 4 year limitation is calculated from the day of the accident. The best option is to contact a personal injury attorney and speak personally with them if you believe you have suffered serious injury and are eligible to file a personal injury lawsuit. If it can be proved that the other person is at fault for injuring you, you may be able to receive compensation for lost wages from work, property damage, emotional distress that includes anxiety and depression, and the cost of hiring someone to do house hold chores that you were not capable of doing as a result of the auto accident. 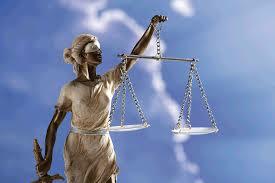 If you feel you have a personal injury claim and would like to speak to an attorney please visit our website. 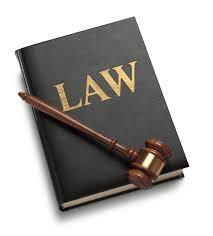 The Blick Law Firm is a well-established firm that services the Greater Tampa Bay area. We provide counsel and coaching our clients for their case. We provide unique individualized services for each client because we understand that each case is different. Please call us for a free 15mins consultation at 888-973-2776! Imagine you and your family or friends are driving one evening, when all of a sudden, you notice a pair of headlights rapidly approaching your vehicle. Sadly, this has been a reality for at least 16 accidents in the Tampa Bay area during 2014; 5 of these crashes were fatal. The cause of these types of accidents was not road signs or even construction, it was impaired driving. Drivers under the influence of alcohol have been getting on the highway and fatally injuring innocent people. In all of the recent fatal wrong way crashes the driver of the vehicle was impaired. So you have been hit by a drunk driver, now what? If you have been hit by a drunk driver you have a personal injury claim on your hands. Personal injury refers to someone being negligent or showing carelessness that results in the injury of another person. A person who decides to drive drunk and injure innocent people is certainly negligent and careless. Florida allows victims to sue for damages when negligence is involved. The first step in this process would be seeking immediate medical attention, and then, contacting an attorney to help you through the personal injury claims process. On the opposite end of the spectrum you may find yourself in a car accident where you are charged with a DUI. Lawyers experienced in DUI cases know the different types of technology used to establish a person’s BAC and can help to refute evidence gained from them. Sometimes things are not properly calculated and sometimes these devices are not properly cared for. An attorney can determine if the evidence pertaining to your case was handled correctly. 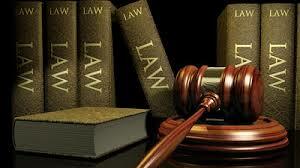 The Blick Law Firm is a well-established firm that services the Greater Tampa Bay area. We provide counsel for our clients, as well as individualized services for each unique case. If you have a case and would like to speak to a lawyer, please to Call schedule a free consultation at 1-888-973-2776! It is a common notion that lawyers are unaffordable; Despite the fact that many lawyers offer special financing for certain customers or commission based payment for winning their cases, many people still believe that hiring a lawyer is just too expensive. As a result, many people have decided to fight their cases, on their own, leaving them to navigate the minutiae of legal terms, motions and laws by themselves. In fact, according to an article featured on the Tampa Bay Times, 90% of low income Floridians have decided to fight their own cases; These cases involve divorce, familial law, foreclosure and other civil cases. The idea of fighting your own case in court is daunting. A person who has no idea of how the justice system works will find complications and hardships at every corner of their case, even if it is full proof. Remember, a lawyer isn’t just your representation in court, but they also serve as your coach guiding you through the myriad of forms, motions, counters and claims. To aid in the provision of legal services to people who cannot afford it, the chief supreme justice of Florida, Jorge Labarga has commissioned 27 members to look for a solution for affordable legal aid. Of particular interest is the demographic of people’s whose income is too high to receive pro bono and special financing but not enough to pay, upfront, the large legal fees that attorney’s charge for their services. Don’t go rush out to your local attorney just yet! Jorge has set a time table of 2 years to create a program solution to aid people, within a certain income demographic, with getting the legal assistance they need to fight their case. If you are desperate for legal assistance now, however, The Blick Law Firm is here to help the Greater Tampa Bay community. Our motto is “helping the hurting”. We understand that every case is different and that a hardship can cause incredible strain on people who are already struggling to meet ends. As a result, we treat each client differently and create a personalized, tailored service that will fit their needs. We offer special financing to certain clients that need the extra assistance as well as offering pro bono services for clients who we feel are truly in need of help. Schedule a consultation with one of our attorney’s to see what kinds of services we can provide you! To schedule a consultation CALL US AT 888-973-2776! Short sales is one giant beast that needs to be tackled by a unified and cohesive team. Everyone needs to do their part to ensure every document is filled, collected and turned in on time, regardless of the unreasonable timeframes that may be given by the lender. Because the nature of a short sale transaction, is rocky, at the very least, it is important that everyone has strategies for each part of the transaction. A short sale will require the seller, buyer, realtors, negotiators, closing agent and attorneys to be on their feet, ready to tackle any problem that may arise. 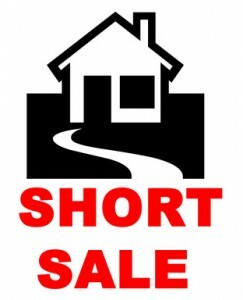 What is a short sale you might be wondering? For these reason the short sale negotiation team, at Blick Law Firm, has these tips for a successful short sale transaction. 1. Price the home to sell: This should be the fastest part of the transaction. Have your realtor set the price to a reasonable value concurrent with market prices. Remember in a short sale, the price determines how much negotiating is required. You want to price it so that it is attractive to a large buyers pool but still enough that it will appraise to a value acceptable by the seller’s lender. 2. Gather your client’s information: This maybe one of the most challenging parts and you may need to get updated information periodically. There are, however, some necessary documents that you should have before you even get a contract that will assist in expediting your short sale. Ask us for a copy of our short sale package with the documents that are pertinent to executing a short sale. 3. Negotiate your price effectively: This is do or die and everyone needs to be on their feet. Although it is the job of the negotiator to come up with an acceptable price point there are things that the realtor can provide to assist in pricing. Condition of the house, marketability, location and hardship are all things that can help the price positioning process. If you priced it well, there shouldn’t be much variance in what the bank is asking and what the buyer is willing to offer. 4. Coordinate your closing quickly: Time is of the essence! If you are lucky enough to receive an approval from the bank, you must do everything in your power to coordinate a successful closing before the approval expires. Remember, sometimes you only have a few days until the approval expires, so everything must be on point.